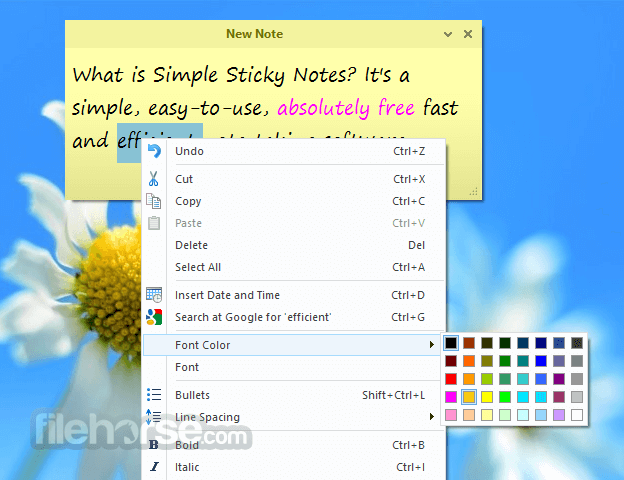 What is Simple Sticky Notes? 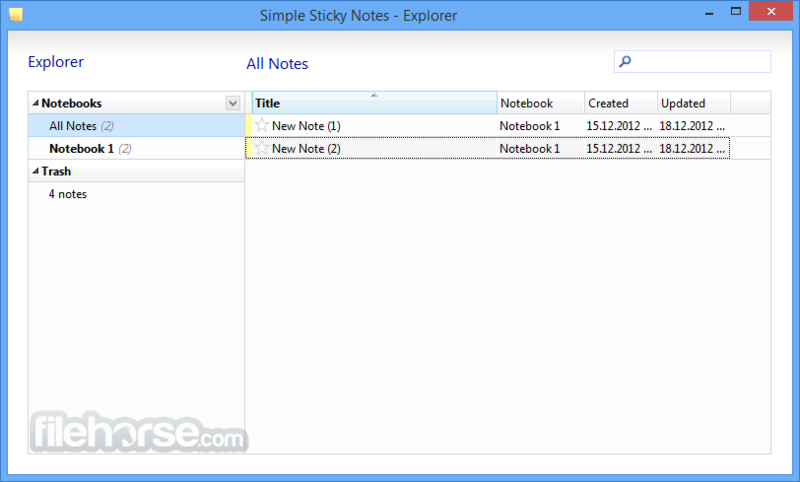 It's a simple, easy-to-use, absolutely free, fast and efficient note taking software. 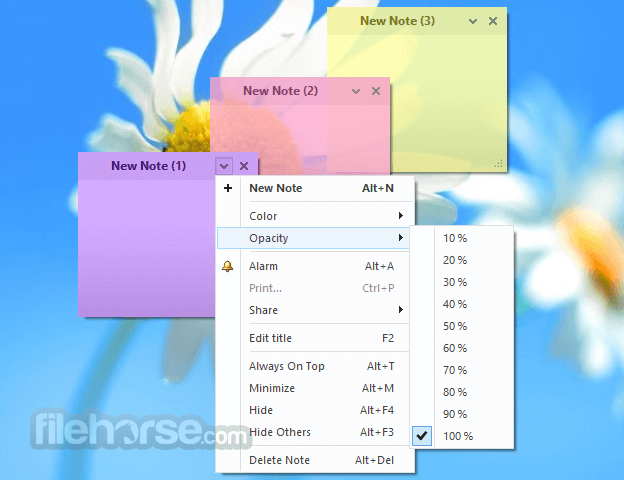 Simple Sticky Notes is specifically designed to enable you to take notes so you never forget about anything ever again. 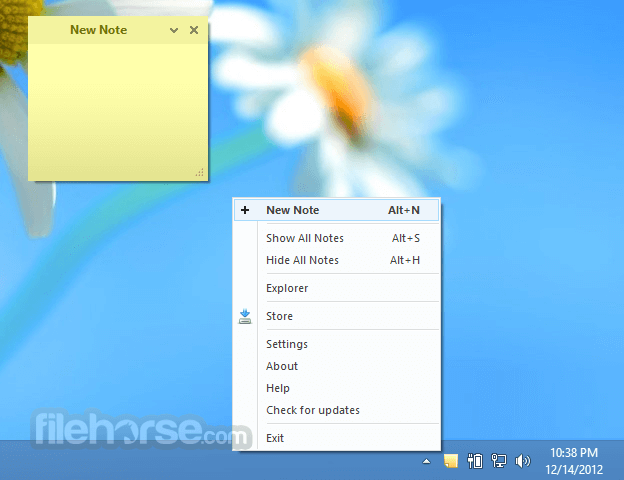 This application will sit quietly in your system tray, just in case you need it and help you create as many notes as you might need.